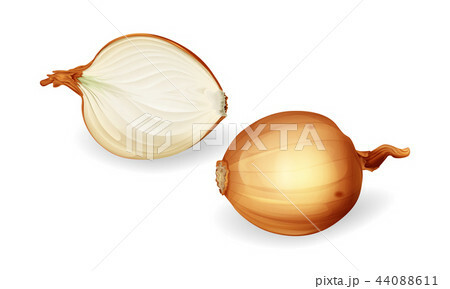 onion bulb and sliced half set. Realistic yellow unpeeled onions, fresh natural organic food. Illustration with 3d healthy eating, coocking ingredient. Grocery products design element.